Happy Wednesday People! If you follow me on instagram and watch my insta-stories (if you don’t, you should be!) then you know that I have been giving my younger cousin (Miss Grant) sewing lessons. Her sewing lessons are usually once a month and last for an entire day. We always do a different project that builds on techniques learned from previous projects. The ultimate goal is to get her to a point where she feels comfortable sitting down with any sewing pattern, without me, and completing projects on her own. To date, she has sewn, in this order, a sunglass case, a sleeveless knit top (M7322), a pencil skirt (M7631), and this cardigan (M7476). The Learn to Sew patterns by McCall’s are great for beginners as well as more seasoned sewist who are not accustomed to sewing a particular garment style. Before we began working on our projects, I did a muslin (mock up) of M7476 using very cheap knit I picked up at my local Walmart. I did View C length with View A collar and was very satisfied with the results. I highly suggest doing a muslin before you cut into expensive fashion fabric if you are feeling nervous about the final outcome of a project. Due to the length of the pattern pieces, we pulled out the cutting board for this project! Side note, in the future I may building a new table for this exact reason. Now for pattern and construction details. Miss Grant did view B and pretty much followed the instructions to a T. The only modification she made was hemming the cardigan using a ¼ inch hem instead of at the patterns suggested measurements. She used sweater knit fabric from hobby lobby, which I got for 50% off (yay for deals). And she used a little under two yards to create her cardigan. She opted out of adding the button. For my look, I used telio ashmore rib sweater knit from fabric.com. I made a few modifications to mine as well. I added a cuff to the sleeve by extending the sleeve pattern by three inches. 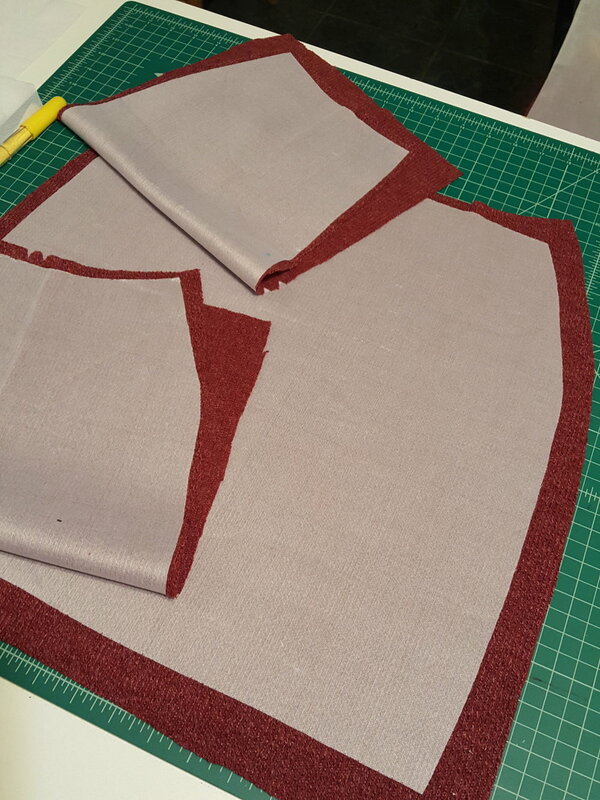 I cut two inch wide rectangles from the bottom of each sleeve and use those as the cuffs. I also did a ¼ hem and omitted the button. Although the pattern cover indicates that View D and B are supposed to stop at the knee, mine did not and Miss Grant’s cardigan only did so because she shortened the hem. I used McCall’s 3830 to create the skirt, which I have reviewed here. For interfacing, we both used Pellon #180 Knit – N – Stable. I also used this to line the skirt because I know I will probably wear it with tights in the future and I do not want the skirt clinging. All in all, this pattern is great and I highly recommend it to beginners. For interfacing, we both used Pellon #180 Knit – N – Stable. I do not intend to make this cardigan again, but hey, things may change in the future. Don’t forget to follow me on instagram. If you are interested in techniques I use during my projects, I usually upload videos during each project on instagram story. Happy New Year!